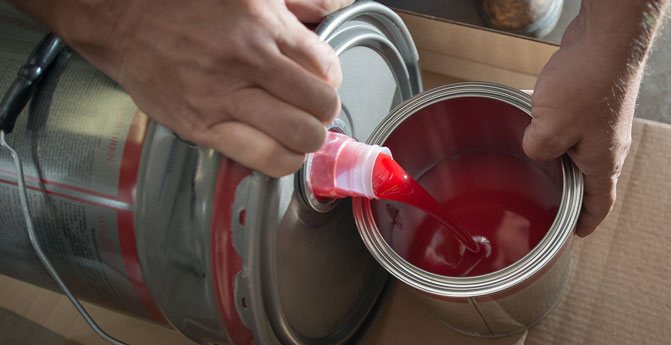 High technology in the shop goes hand in hand with high-technology products. At least that's the way it seems at Apex Custom Woodworks in Charlotte, N.C.
ACW owners Jim and Sara Stevenson invested in a Biesse Rover CNC router to boost productivity in their architectural millwork and custom commercial cabinet shop. But the new machine also gave them the wherewithal to attempt to develop new markets and products, including a prototype television lift cabinet they hope to sell to both residential and commercial customers. Jim has strong feelings about the necessity for cabinet shops to embrace new technology. "Shops are going to die unless they change," he says, adding that that goes for any manufacturer today. "I didn't want to get left behind by the technology." So, he set about to investigate the options for CNC equipment, asking lots of questions and exploring a number of manufacturers around the country. Ironically, despite his wide search he ended up choosing Biesse, a company also based in Charlotte. Factors that weighed heavily in his decision included safety features on the machine, the availability of bolt-on upgrades so the equipment could grow with the shop's needs, and he wanted solid local support. "I talked with Biesse, and they responded to my issues," he says. The Stevensons say the decision to purchase a CNC machine boils down to whether you want to grow the business by adding more people or more equipment. "If it's the machine or bodies, the machine is far less expensive," Jim says, comparing the costs of employee wages and benefits to the financed cost of the CNC router. He also looked to the CNC machine to be faster and more productive to help give him an edge in the highly competitive commercial arena that is ACW's main focus. "With commercial, it's all speed," he says. "It's whether you can get it done on time." Currently, the machine is used about two and a half days or 20 hours a week, but the shop has been able to double production. Even the best 20-hour-a-week part-time worker couldn't have done that. "The savings are so significant I don't even care to measure it," says Jim. Sara says it's also an issue of control rather than relying on the productivity of employees. "(With CNC equipment) as owner you take the business back into your own hands," she says. Another part of taking control of the business is keeping on top of changing market conditions. Jim says the Charlotte area is currently booming, but he does see it slowing down over the next seven to 10 years. He wants to diversify his business now, so he will be less affected by that change. The Stevensons started looking at other products they might manufacture outside the traditional commercial arena. They looked at the huge rise in popularity of large plasma televisions that originally were promoted to be hung on the wall or set up as a fixed feature of built-in cabinetry. But the Stevensons say many people are now asking, "Why take up all of that wall space? It's prime real estate." When they investigated the market for systems that allowed the television to be lowered into a cabinet when not in use, they found few offerings in the Southeast. Everything was being made in California, and not all of the hardware available was even UL listed. The Stevensons designed and developed their own solution, a high-end furniture-grade cabinet with a remote-controlled lift mechanism. When the TV is not in use, it looks like a nice piece of furniture. Click the remote, and the TV rises from the cabinet and even swivels. Making use of an Auton lift mechanism, the cabinet is engineered to be safe, reliable and simple to use. The Stevensons see the market for such cabinets ranging from corporate settings to home entertainment cabinetry. In the corporate board room, the plasma screen no longer needs to be a dominating fixture on the wall. Instead, an elegant credenza takes its place until the TV is called into action. In the home, Sara says most women would rather have the TV concealed and be able to use the wall space for other decoration. Similarly, the unit can be constructed in the form of a footboard for a bed and make the addition of a large screen TV to the bedroom much less intrusive. Currently, about 98 percent of what ACW does is commercial work, but the Stevensons are interested in expanding the amount of residential projects they take on. The TV lift product is part of that, but they are also in the process of getting certified as a DuPont Corian fabricator. 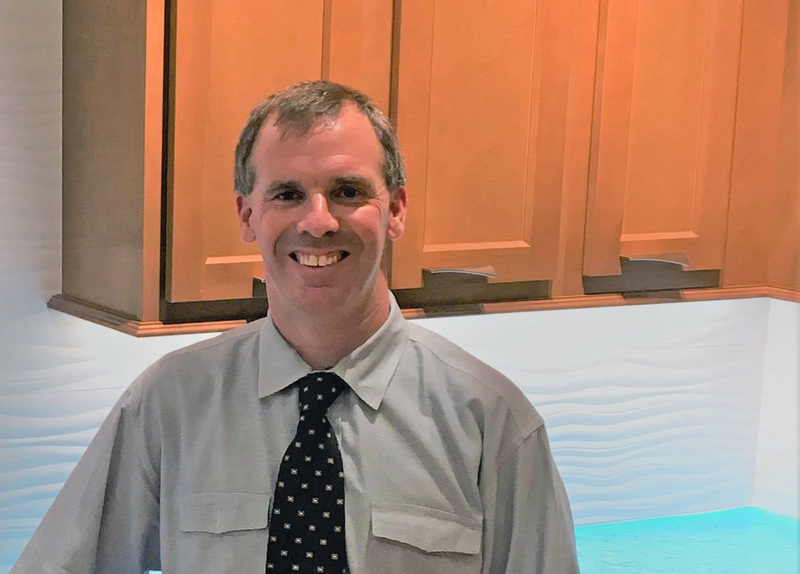 Jim says fabricating solid surface countertops rather than outsourcing them and just installing them will give him more control of the entire building process. He thinks that will be especially important as the company does more residential work. "Residential and commercial are two different animals," he says. "They are dogs and cats." The shop handles all construction and installations in house. Besides the Biesse CNC router, the shop uses two Delta tilting arbor saws, a Brandt KD54 edgebander and a Dantherm (Disa) dust collection system. Drawings for most work are done on KCDw software and then moved into AlphaCam software for the router. The only thing subbed out now is the finishing. Jim grew up in the construction industry and worked for another shop for several years. 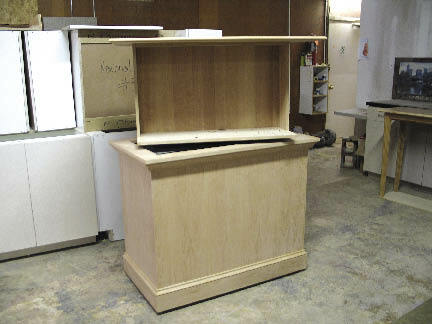 When that shop went out of business, a contractor Jim had done work for offered to set Jim up in a partnership to supply millwork and cabinets to the builder. "He wrote a $5,000 check for the equipment, and we've built the business without debt until we bought the CNC machine last year," Jim says. Since buying out the partner, the Stevensons have run the business on their own, emphasizing a high level of customer service. A good example of that was how they handled an emergency project involving a Ruth's Chris restaurant. The restaurant was due to be built with cabinetry and millwork coming from Louisiana, but Hurricane Katrina threw a monkey wrench into those plans. ACW was hired to do the job with a deadline of just four weeks. The project involved $30,000 to $40,000 in mahogany, some of which had to be salvaged from water-damaged stock. Jim says it was a $100,000 job not counting the cost of the materials. To speed the process, ACW prefinished all the mouldings and set up a table saw inside the restaurant. They actually completed the job a day early. "I'm really proud of the people who helped get it done," he says. That includes the subcontracted finisher, who now rents space from ACW for his finishing operation.